Medical equipment like canes and braces (a.k.a. orthoses) can help patients rehabilitate more quickly. Get expert help and advise from Dr. Thomas and the team today, to manage your rehabilitative care journey! Often, health issues lead us to physical therapy. And while physical therapy can improve our mobility and comfort level over time, it’s not an immediate fix. That’s why, to help us maintain a level of independence and mobility, specific types of orthotics or medical equipment may be prescribed. At Hamilton Physical Therapy, we believe that there is no shame in utilizing medical equipment to help get around while recovering. Our team is ready to provide the care and advice you need to return to a state of normalcy. Call 410-444-2770 or book an appointment online to begin your care journey! Why Should Patients Consider the Use of Orthotics or Medical Equipment Aids? Medical equipment mobility aids and orthotics such as splints, insoles, and braces are designed specifically to help people who are struggling to move or who need external support, respectively. Using these tools give patients the ability to enjoy greater freedom and independence. These tools and devices also provide additional support to a recovering patient, which helps to speed up recovery time and reduces their risk of further injury. What Are Some Common Examples of Orthotics / Medical Equipment Aids? How Will I Know if I Need an Orthotic or Medical Aid? During the course of physical therapy, beneficial orthotics and medical equipment aids will be discussed and reviewed. Based on this conversation, a patient may be sent to a specific local store to purchase their equipment, or they may be directed to an online seller to ensure they can find and receive what they need in a timely manner. 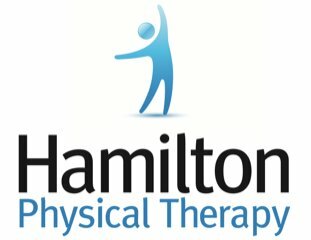 Hamilton Physical Therapy, a private PT clinic in the Baltimore area, provides expert care that includes a review of your medical aid options and needs. Our doors are open to all, and our team will always make sure that we personalize and deliver the right treatment to you. Call us at 410-444-2770 or book an appointment online to start your care journey today!